Welcome to Harrison’s For the Love of Gold, a second-generation family owned and operated jewellery store nestled in the heart of Hobart, Tasmania. 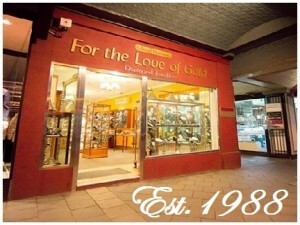 For over 20 years For the Love of Gold has been providing superior workmanship and exceptional service, with professional and qualified craftsmen onsite to design, repair and restore all items of jewellery for every customer’s requirement. Our award-winning jewellers can create exclusive hand crafted pieces using the very best gemstones and highest quality materials, specifically selected for your individual needs, or repair and renovate an existing heirloom piece for future generations to enjoy. Our qualified watch and clockmaker can provide fully guaranteed repairs and servicing to your favourite antique or modern timepieces. Our friendly sales consultants are trained in all aspects of fine jewellery, and can help you select the precious items that honour those special moments of your life – diamond engagement rings, birthday and anniversary gifts… We pride ourselves on customer satisfaction and quality after sales service. Come in to our Liverpool Street store and view our superb collection of Antique, Estate and Vintage jewellery and watches, or buy with confidence on our online store. Choose from our fine collection featuring Ruby, Sapphire and Emeralds, or semi-precious gemstones such as topaz, tourmaline and aquamarine. Fall in love with our exquisite range of South Sea, Akoya and freshwater pearls, or become immersed in the natural beauty of our Australian opals. 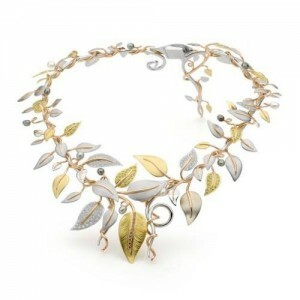 We also stock a stunning range of jewellery from the corners of the globe, including Mexican sterling silver, marcasite and enamel jewellery, and beautiful golden amber from the Baltic region. With decades of experience, we happily offer you our broad knowledge, craft and understanding and welcome you to our store, For the Love of Gold. After a lifetime mastering his career as a manufacturing jeweller and designer, Edward Harrison, who was formally trained in the prestigious Hatton Garden, London, opened Harrison’s For the Love of Gold. He founded the business on the traditional values of honesty and integrity and understood the importance of sharing his knowledge and experience within the industry. Today, Tony Harrison continues to bring his father’s values to jewellery creation and trade, demanding the highest quality products from our suppliers both locally and overseas. Halina Kaufman, was a finalist in the prestigious JAA 2012 Design Awards. She has also excelled in the World Skills Competitions where she won gold for Tasmania twice, and was awarded the National gold medal in 2010. Through Worldskills Australia, Halina undertook a Scholarship in 2011 to Wales, UK. Whilst there, she pursued her passions by undertaking private studies in traditional hand engraving and stone setting at Le Arti Orafe Jewellery School in Florence, Italy. She is now a Worldskills judge and project designer, and excels in designing and creating handmade, handset jewellery. Handmade manufacturing of quality gold earrings, bracelets, rings, necklaces etc.